Up until now, electric or cordless snow blowers have been one-stage machines, primarily limited by the lack of power they can operate at. But now, with the Snow Joe iON24SB-XR, everything has changed. 50 minutes of run-time on full charge. 40 minutes of run-time on full charge. iON24SB-CT | No batteries, no charger. Just the snow blower. You might say it’s a mini-revolution — well, at least it is in the snow blowing industry. And I might add, if you are searching for a new snow blower then consider lucky. You have the opportunity to buy a machine with the power of medium gas snow blower but with all of the benefits of battery power. It’s quiet, eco-friendly, lightweight, requires zero-maintenance and easy to use and operate. The only difference between the two different models is simple: The Snow Joe iON24SB-XRP comes with two 6.0Ah batteries whereas the iON24SB-CT comes with two 40V 5.0Ah batteries. Just to clarify, these are both 80V snow blowers but they use two 40V running in parallel to achieve its 80V power. The batteries are compatible with all Snow Joe ION tools. This translates to the Snow Joe iON24SB-XRP being able to run for about 50 minutes, which is about 10 minutes longer than the Snow Joe iON24SB-XR. But first, let’s lay the groundwork and look at a wide range of topics related to snow blowers that will help you make the right decision. Amazingly, the original company is still around today — Sicard SSI Group. Snow blowers, as you probably picture them, have been around us for roughly 90 years, ever since Arthur Sicard built his first snow thrower prototype in 1925, based on a grain thresher design he first thought of way back then, in 1894. This model was locomotive in nature, which means that it required an external and autonomous train engine to be able to work and clean out the snow. After a few improvements and handful of new patents, along came the first walk-behind, gasoline-powered snow blowers which gave the masses access to this vanguardist technology – it was no longer an astronomically expensive device suited only for governments and agencies, it became somewhat of a commodity for the average Northern-Hemisphere-homeowner. However, we’re not here to discuss the early stages of this evolutionary process — we have another highly detailed article to walk you through it. Instead, we want to skip a few chapters in history all the way up to a couple of decades ago — the early 90’s. In this buying guide, we’ll approach things a little differently — since we do love our diversity — and focus on the game-changing features which we’ll be able to find in snow blowers, all the way across the entire country, starting October 2016. This vintage snow blower has a beautiful style and design. For this winter season, the all-time favorite Snow Joe brand will bring something entirely unique to the table. An unprecedented innovation which will not only smash the old myth that says battery-powered snow blowers can’t handle the toughest Northern winters but will also help to reshape the future of the power tools industry as a whole. Snow Joe will debut a couple of beast-like, two-stage, battery-powered snow blowers, the very first of their kind – the 80V Snow Joe iON24SB-XR and the 80V Snow Joe iON24SB-XRP. As we guide you through this handbook, we will talk about a handful of strongly relevant – yet easy to grasp – topics which will help you understand all the many reasons why these two snow blowers are going to change the winter power tools industry. First of all, we want to cover a little bit of the final steps of this evolutionary process. How did these rechargeable batteries come into existence? What is so special about lithium and why does it remain the single most reliable element to mold into cells capable of holding large electrical charges? How do batteries work? And finally, a brief follow-up on how rechargeable batteries evolved from being a challenging theoretical proposition to powering virtually any and all sorts of electronic devices. Very basic machines, built like tanks and probably very difficult to control. Secondly, battery-powered devices still present a considerable power gap when it comes down to comparing them with gasoline-powered motors. But will this gap tighten? And if so, when? For the sake of objectivity, we will compare these two constructions without analyzing any particular brands or models. Rather, we will dissect their energy builds as concepts, to extract a list of pros and cons for each one. Once we’re through with it, we will discuss extensively and in great detail each and every one of all the features available in the 80V Snow Joe iON24SB-XR and the 80V Snow Joe iON24SB-XRP. To wrap this segment up, a little friendly competition between them, just to see how they will fare in real-life scenarios. Which one is more effective at snow clearing? Additionally, and for a little perspective, we will also square both of these snow blowers against a relatively similar gasoline-powered design — the Husqvarna ST224. And last, but not least, a bit of food for thought. Where do we go from here? How can these brand-new innovations affect this living organism we call the market? What can we expect in a short-term future when it comes to battery-powered electronic devices? Will we ever ditch lithium as the go-to element for an efficient energy storage? While we might not hold all these answers yet, we’re most definitely living in a very exciting moment in time where all those old science fiction stories are now much closer to becoming a reality than ever before. Smartphones, tablets, laptop computers, power tools, and even electric vehicles. Li-Ion rechargeable batteries are part of our lives, and they’re here to stay. It was estimated that by the end of 2015, this industry would reach approximately $23.5 billion in global revenues. As of today, the consumer electronics market is leading the charge. However, there is substantial evidence pointing out that by the year 2020, both the renewable energy along with the automotive segments will land on the podium – with roughly 38 and 30 percent, respectively. But hold on a second. How did this happen? Well, a few prototypes and patents here and there. But in reality, it all started back in 1991, when Sony launched the first ever commercial Li-Ion battery. When compared to current rechargeable batteries, the first model was somewhat inefficient, but it paved the way for this unstoppable technological rise responsible for most of our advances and discoveries from the past couple of decades. However, and before we move on, there is a highly important question to answer. Why lithium? Snow Joe has engineered their own proprietary 2-stage 80V battery system. Well, lithium just by itself is not the hero here. To better appreciate what’s so important about it, we need first to understand how electricity works. There are endless resting electrons in a conductor just waiting to get excited. When an electric current passes through it, these electrons move from point A to point B at a speed virtually equal to that of light — this movement is what we call electricity. If you keep exciting this conductor, electrons will keep on running, but as soon as you stop the current, they will come to a sudden stop – there is no in between. Need a practical example? Just unplug your TV — the shutdown is almost instantaneous. Okay, but if we can’t manipulate these electrons at our own free will, then how did we make batteries work? Well, the rules didn’t break, they just bent. Here is how. Batteries are made up of several smaller batteries, called cells. For simplicity, picture these cells as sandwiches made up of two slices of bread, and three slices of fillings. Each of these cells has electric conductors on each side. Yes, they’re the slices of bread — in this case, aluminum and copper. A practical list of features all powered by batteries for a total of 80V of power. In between those slices, there are a couple of electrodes with opposite charges — the cathode (+) and the anode (-). The cathode is made of extremely pure lithium oxide while the anode is made of graphite, which is a form of carbon. In the very middle, lies an electrolyte, which allows for the lithium ions to move freely throughout the sandwich dimension – this movement is what we understand as charging and discharging, depending on the direction. A fully charged battery is nothing more than a cell where all the lithium ions are nicely arranged throughout the graphite anode (-). While an entirely discharged battery, on the other hand, is the opposite. In this case, all the lithium ions are back to their original position, perfectly aligned throughout the lithium oxide cathode (+). Simply put, the concept remains the same. An electrically charged ion in movement generates a small blast of energy. By using different materials and a couple of electrical properties, we can hold on to these energetic bursts for a little longer – and that’s how batteries work. As to why we chose lithium in the first place, well, after several trial-and-error tests, just because its ions present the least energy loss among all affordable elements known to date. In the short span of just 25 years, we have taken huge leaps in the energy storage field. The 1991 Sony Li-Ion rechargeable battery was not bad at all. But today, we have a much more refined process for making better, safer, and more efficient rechargeable batteries. Yes, we’re still working with Li-Ion, and we will probably do it for quite a while, but by sacrificing a bit of energy and power density, we can now add several handy features. Fire resistance, ultra-rapid recharging (sometimes in just minutes), longer lifespans, and environmental friendliness. These advancements in the energy field are allowing the automotive industry to efficiently incorporate Li-Ion batteries to even their most demanding electric vehicles – the BMW i3, the Nissan Leaf, the Renault Zoe, the Tesla Model S, and the Toyota RAV4 EV. Each power type has their own advantages and disadvantages. For this particular match-up, we will exclude the corded-electric snow blowers simply because of their limited mobility — cordless and gas-powered tools are portable. Both of these builds have their own unique set of pros and cons, all of which you should carefully analyze before considering your next power tool addition. In this comparison, we won’t talk brands nor models, just a comprehensive and general overview. First of all, let’s begin with gas-powered snow throwers. These tools are arguably the most versatile choice when it comes down to power and performance. Robust by nature, their engines are designed to handle medium-to-large snowfalls easily. Even the smallest one can tackle one-foot-high piles, while some more powerful machines can remove up to thirty inches of accumulated snow. 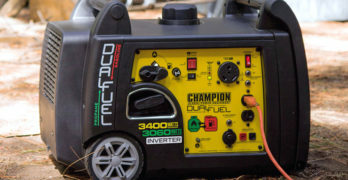 Because internal combustion engines have been on the market for quite a while, these power tools — especially the newer models — are becoming more and more efficient with a longer average lifespan. However, all this extra power comes with a toll. Gasoline-powered snow blowers tend to last longer, but they also require routine maintenance tasks to keep them running smoothly – such as oil changes, filters replacements, and fuel tank purges. Not to mention regular check ups on all other spare parts, like spark plugs, fuel tank caps, rubber tires, lights, and so on. Gas engines are much heavier and louder than electric ones, and some older versions might still present that inconvenient pull-start mechanism. Finally, while it’s true that the environmental regulations are keeping all manufacturers on their toes, you can still find some snow blowers which are not EPA or CARB compliant – most definitely a downside considering that there are several fines in place for using inappropriate power tools, and they can get quite salty. Battery-powered snow throwers are usually on the opposite side of the spectrum when compared to gas-powered engines. For starters, they are not as versatile regarding performance, and most models can’t handle snow piles higher than one foot. Objectively speaking, electric engines are not as sturdy as internal combustion ones, which is why their average lifespan tends to be a bit shorter. However, if you factor in oil, fuel, and every little maintenance task required on a gas-powered snow blower, you will discover that electric engines are much more efficient from the get-go. Additionally, all battery-powered snow throwers will always be much lighter, much quieter, and in most cases, much cheaper than any gasoline-powered device. While they’re not that versatile, they’re definitely convenient. 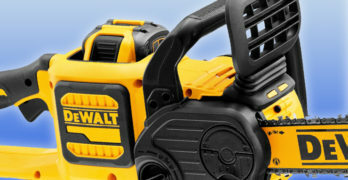 Most battery-powered tools are easy to start, easy to maneuver, and easy to store. They’re completely maintenance-free, which is an added bonus for all users. Finally, there is the environmental factor to weigh in. Like all electric power tools, these machines emit zero carbon byproducts and are virtually odorless while running. You might still be wondering which build will suit you best, after all, there are lots of factors to take into account. To make it easier on you, we want you to answer three simple questions. How much snow do you usually get throughout the winter? How vast is the area you intend to cover? And finally, on which type of terrain will you most likely be working on? If you don’t live in an active blizzard area, and you don’t expect any winter storm to accumulate more than a few inches of snow per event, AND if you only mean to work on leveled and paved surfaces, you should definitely go for a single-stage, battery-powered snow blower. However, if the storms in your area are somewhat unpredictable or, if you have a larger extension of land to cover or if you want to be able to work on both paved and graveled surfaces, your go-to choice should be a two-stage, gasoline-powered snow thrower. 80-Volt Max (2 x 40V 6.0 Ah) EcoSharp rechargeable lithium-ion batteries provide up to 50 minutes of running-time. 80-Volt Max (2 x 40V 5.0 Ah) EcoSharp rechargeable lithium-ion batteries provide up to 40 minutes of running-time. Serrated steel auger moves up to 1000 lbs of snow per minute. Clears a path 24 in. wide by 13 in. deep. Dual 0.3 W LED headlights allow you to see at night. 2500W brushless motor increases overall efficiency, runs cooler and maximizes battery life. Bold wheel well LED lighting. Load sensing technology to optimize engine performance. ✓ View or download the MANUAL for Snow Joe iON24SB-XRP. ✓ View or download the MANUAL for Snow Joe iON24SB-XR. Since these two snow blowers have a lot of features in common, we thought it best to discuss them simultaneously. For starters, let’s talk about weight and dimensions. Fully assembled, these machines both weigh roughly 106 pounds, while their physical dimensions stand at 25.7 inches in length, 40 inches in depth, and 47 inches in height. Now, to the core features, and we’ll begin talking about their electric engine. From October 1st, 2016, Snow Joe will be the very first brand in the market to present a fully operational, medium-duty, two-stage, battery-powered snow blower. Both of these models share the same engine, a 2500W brushless motor featuring a convenient push-start mechanism for a smooth running. The engine allows for both of these snow blowers to be self-propelled, with three different speed levels in the forward direction and one additional rate in the reverse direction. The auger is another feature shared in both of these devices. They have a top-notch, serrated, steel auger which allows you to tackle snow paths of up to 24 inches in width and 13 inches in height. Both models are able to remove up to 1,000 pounds of snow per minute and thanks to their adjustable chute – which can rotate up to 180 degrees — these blowers can toss snow up to a distance of 32 feet. Integrating the latest technology to create an innovative snow blower. Much like all other two-stage power tools, you will be able to work on both paved and graveled surfaces, removing medium-to-dense types of snow, on both leveled and sloppy terrains. Still, Snow Joe recommends the usage on graveled surfaces to a minimum, to enhance the average lifespan of these machines. The Snow Joe iON24SB-CT and the Snow Joe iON24SB-XRP also share some additional features, designed for an improved user experience. They both have nighttime capabilities, equipped with dual 0.3W LED headlights for increased visibility. Their 13-inch, TracAssist snow tires provide maximum traction on all surfaces, even during the toughest of winters – the recommended pressure for these tires is about 20 psi. Their engines present an embedded load-sensing electronic technology, which estimates the snow volume and density to provide the exact amount of power required for removal – a remarkable feature which optimizes energy consumption and improves, even further, the machine’s expected lifespan. They also feature reversible skid shoes and an user-friendly control panel, lit with LED lights to indicate the snow blower’s current speed and direction. Finally, they’re both built with rust-resistant materials, they’re in ETL compliance, and present a full two-year warranty. There is just one real downside in these features – the lack of heated handles. The only actual difference between these two snow blowers is the battery type. Both have 80V of nominal voltage, but the Snow Joe iON24SB-CT presents two 40V, EcoSharp PRO, 5.0A, iBAT40XR, rechargeable Li-Ion batteries. On the other hand, the Snow Joe iON24SB-XRP has the same construction, except it comes with two 40V, 6.0A, iBAT40XRP batteries, instead. The stance and design features resemble that of a gas snow blower. This difference in amperage translates into a longer running time per full charge, in the case of the Snow Joe iON24SB-XRP – roughly 50 minutes, compared to the 40 minutes offered by the Snow Joe iON24SB-CT. Finally, the battery recharging time is also a bit different – between four and four-and-a-half hours for each 5.0A battery and roughly 4.5-5.0 hours for each 6.0A cell. While technically not a difference between them, you should pay close attention to the following detail. The Snow Joe iON24SB-CT DOES NOT include batteries, nor does it include the charger – in reality, this is a handy feature if you already own another Snow Joe battery-powered tool, since these batteries are completely swappable. Well-laid out controls make it easy to control the auger. The Snow Joe iON24SB-XRP comes with two 40V, EcoSharp PRO, 6.0A, iBAT40XRP, rechargeable Li-Ion batteries and one EcoSharp dual port battery charger. These cells only differ in their amperage, you can still safely use any of them distinctly since their other electric parameters remain exactly the same. One battery-powered snow blower with a lower handle. Four handle knobs plus four bolts. One chute crank knob plus one retainer. One chute crank plus one cotter pin. Two chute U-bolts plus four nuts. Two shear bolts plus two extra nuts. One user’s manual with one registration card. Remember that if you buy the Snow Joe iON24SB-CT, it will not come with batteries nor with a charger. In this case, you can work with both the iBAT40XR and the iBAT40XRP batteries – 5.0A and 6.0A, respectively. As for the chargers, you can also use, the iCHRG40 (single-port) and the iCHRG40-DPC (dual-port) models. Ergonomic design allows you to comfortably control the machine. In this segment, we want to compare these two products with one of their most similar competitors – the Husqvarna ST224, a two-stage, gasoline-powered snow blower. When it comes to weight and physical dimensions, the ST224 weighs about 200 pounds with roughly 59 inches in length, 41 inches in height, and 24 inches in width. The Snow Joes are lighter and smaller, which is always a convenient plus for both transportation and storage. Talking about the engine, it comes as no surprise that the ST224 features a more powerful motor, but before we jump to conclusions, let’s go a little deeper. The Snow Joe’s have a 2,500W brushless engine, while the ST224 possesses one equipped with 6.3hp — approximately 4,700W. In this particular case, more power does not equal to more performance. The Snow Joe’s can handle piles of approximately 24 inches wide and about 13 inches high, quite impressive for a battery-powered snow thrower. The Husqvarna ST224, on the other hand, is limited to those very same standards, probably even a bit more. The owner’s manual states that the ST224 can tackle piles of roughly 24 inches wide and a little less than 12 inches in height. With a smaller, more efficient, and more environmentally friendly engine, the Snow Joe also wins this round. It’s no coincidence that you can see a face at the front of the ST224. Now, let’s analyze all of the other additional features present in both builds. The ST224 comes with six different speed levels in the forward direction, plus another speed rate in reverse — recalling, the Snow Joes have three and one respectively. All three products feature an electric start mechanism, adjustable skid shoes, a heavy-duty, high-speed impeller, and they are all equipped with LED headlights to perform during nighttime. Additionally, the ST224 does come with heated handle grips, something lacking in both Snow Joes. We also want to consider the price range. A fully equipped Snow Joe iON24SB-XRP with two batteries and a dual-port charger included stands at roughly 900 dollars – the iON24SB-CT costs about 600 dollars. The Husqvarna ST224 is in the 800 dollars neighborhood, although since it’s a previously released model, you can most definitely find cheaper options around. Heavy-duty snow tires prevent slipping and sliding around. 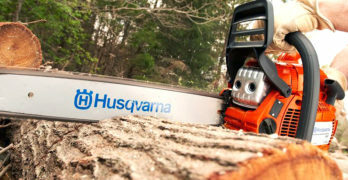 Finally, there are a couple of things to consider in the Husqvarna ST224 that won’t be an issue with either of the Snow Joe models. Much like all gasoline-powered snow blowers, you will need to perform routine maintenance tasks if you want it to keep running smoothly season after season — oil changes, fuel tank purges, spark plugs replacements, and regular spare parts check ups. 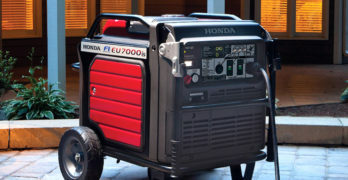 Secondly, its engine is loud enough to warrant the use of personal hearing protective equipment, as with all the power tools which break the 85dB safety threshold. Also, remember to always double check with your local authorities to see if a gasoline-powered snow blower (or any other power tool, for that matter) is in compliance with their environmental regulations. How Dual-Stage, Battery-Powered Snow Blowers Will Reshape The Market. Battery-powered snow blowers are still in the early stages of their development, but they are already breaking ground in the energy efficient field. The mere fact that Snow Joe, as a brand, is now splitting away from the competition with these, first of their kind, two-stage, battery-powered snow throwers will most definitely warrant a technological race among all competitive market players. This is a remarkable win for all consumers because no serious company wants to be left behind. They will keep improving and enhancing their offers, while still making them affordable and practical. Starting October 1st, 2016, we will have these products readily available all across the country. Today, we have these features debuting in the market, but tomorrow we can have something entirely unique. With the massification of electric vehicles, the rechargeable batteries industry is evolving, too. 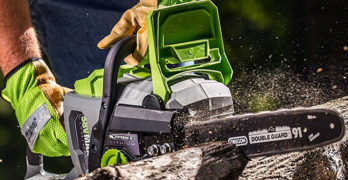 Now, you can use any given power tool for about 15-20 percent of the actual time that it takes for their batteries to recharge fully — it’s not so efficient to use a tool for 40 minutes and then have to wait four whole hours to restore it to full capacity. However, these limitations are getting smaller and smaller every day. For example, the Samsung Galaxy S6 was one of the first smartphones to present a rapid-charging feature, setting the device to about 40 percent of its full battery charge in just under five minutes. Tesla Motors, Inc. is boldly announcing that their electric vehicles will become a commodity within the next two years, which means that with it, we will have a practical and efficient way to run those cars while conveniently and rapidly recharging their batteries along the road. We’re not entirely sure how these technological developments will come into play, but this is definitely a most exciting period to be living in. Just think about it, we wouldn’t have iPods had it not been for the Walkman, or next-gen video game consoles had it not been for the Atari or even smartphones had it not been for the first analogous, handheld, cellular phone built by Motorola. Maybe we’ll even ditch lithium and create another form of energy storage, one that could hold daylong charges. After all, what sounds like science fiction today, could very well become a reality tomorrow.